If you read my last blog post, you know that I get asked a lot about what a doula brings to a birth. However, the most frequently asked question that I get by most people who hear that I am a doula is, “What is a doula?” This post will address that question in addition to some of the evidence for doula support and why a doula might be a good addition to your birth team. In short, a doula provides emotional, physical, and informational support to birthing persons and their family before, during and after labor. This primarily consists of a prenatal or birth plan visit where we discuss the birth plan if that is already known or we create it together. I also discuss what I bring with me to a birth and some of the interventions that I can do for various aspects of labor, such as the comfort measures. I am then “on-call” for the last few weeks of gestation and keep in contact with the parents to ensure everything is going well. When it comes time for the birth, I join the family when active labor begins whether that be in a hospital, a birth center, or at home. This is where the bulk of my doula duties come into play. This involves those comfort measures I mentioned, like hip squeezes and using the birth balls. I am hoping to write another blog post soon about my favorite comfort measures. In addition to these physical interventions, I also help the partner or other family members present feel involved in the birth experience. Another thing that doulas are amazing for is emotional support and encouragement for laboring persons. Labor and deliver can be intimidating and intense, so having a strong birth team present who are all there to support the laboring person can be extremely beneficial in both the emotional and physical experience. The doula support that is provided is continuous and one on one. After delivery, I usually stay a few hours to make sure all is well. Then, we schedule a postpartum visit when it is most convenient for the new parents. This postpartum visit is used to check up on the new family, screen for postpartum depression, and see how breastfeeding is doing if that was the choice of the parents. One other question that I get asked is, “Do you deliver babies?”. Sometimes people also just assume that if you are present at a birth, you are doing something to literally help deliver the baby. This is a common misconception about doula work. Doulas do not deliver babies; it is out of our scope of practice. Not many people actually know this, but there is strong evidence supporting doulas as tools for pain relief and overall birth outcomes. My absolute favorite website to review this research is Evidence Based Birth. 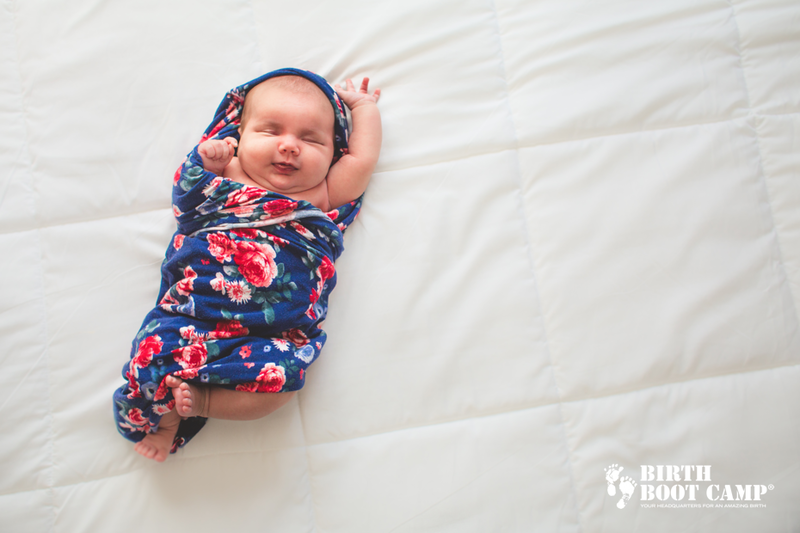 This company was started by a nurse, Rebecca Dekker, who was inspired by her birth experiences to find and summarize all of the available evidence on various aspects of birth. One of the topics that Dekker reviewed was the use of doulas. In fact, I often carry a few copies of the one-page write up on this topic with me to client meetings. The link to EBB’s article on doulas can be found here, however, I will mention a few key data points in this post. This article mentions a Cochrane Review update from 2017 that discusses 26 trials of over 15,000 participants where each laboring person was given continuous labor support provided by one person, such as a nurse or doula. The results showed that those who were provided this continuous care had labors “shorter by about 40 minutes and their babies were less likely to have low APGAR score at birth.” Additionally, they were, “more likely to have spontaneous vaginal birth and less likely to have any pain medication, epidurals, and negative feelings about childbirth, vacuum or forceps-assisted birth, and caesareans”. The EBB article also discuses some evidence for lower risks of postpartum depression. Other evidence based research is discussed in this article and that can be reviewed in the link provided above. Now, you may be wondering if a doula is right for you. Well, I generally recommend doing some research at home, reading some doula websites, and then if you are still uncertain, scheduling a meeting or consultation with a doula. Interviews with doulas are a great way to see if doulas are right for you and then if you know that want to have a doula on your birth team, finding the best doula to fit your needs and one that you click with. Birth Boot Camp, the wonderful organization that I trained with, states that a doula is the perfect combination of a best friend and a mother. I think that is pretty accurate and is a good way to help you decide which doula to go with if you are interviewing with multiple. Another thing to consider is who will be present at your birth. If you are a military family and are far from family members, doula support can be incredibly helpful and be that extra support when family is missing. Doulas also work as advocates for expecting parents. Therefore, if there is a history of trauma of any kind, doulas can help be an advocate for those parents to ensure minimal cervical checks or other potentially triggering interventions. Nevertheless, doula care is amazing and something that everyone can benefit from. Two of the questions I get asked a lot are “What do you bring with you to a birth?” and “What do you carry in your doula bag?” I like to refer to my doula bag as my “bag of tricks” because it’s gigantic and sometimes seems bottomless! My favorite place to start when addressing these questions is to discuss my favorite, or most used, doula items. 1. Ice pack- Labor is intense and can cause the body to feel flushed and hot. A reusable ice pack is one of my favorite items to use during and between contractions. Ice packs can also be used for back labor if placed on the area of pain to help with relief. This is useful because ice constricts the blood vessels, eliciting an analgesic and anti-inflammatory effect. 2. Heating pad- Labor can also cause a great deal of back pain and a heating pad placed on the lower back can help relieve some of this discomfort. Applying heat also has an anti-inflammatory effect and can block pain by working through the Gate Control Theory. This means that applying heat to a painful area will block pain receptors from transmitting pain impulses to the brain. Essentially, the brain can only take so much stimulation, so when heat is introduced, those nerve impulses take up the pathways that the pain impulses were taking. 3. Essential oils- I could go on and on about the use of essential oils during labor because there are many options! My favorites are clary sage, peppermint, lavender, and citrus oils. One of the major benefits of essentials oils is that they introduce a positive stimulus into the birthing environment. A person’s favorite essential oil gives them something positive to focus on during the stress of labor. 4. Peanut Ball- I call peanut balls the “miracle balls” because they work wonders at speeding up a slow labor. Peanut Balls are particularly useful when a laboring person receives an epidural. With an epidural, a laboring person is not able to walk and move around, so a peanut ball can be placed between the knees while side lying to help dilate the cervix and encourage the baby to move into the optimal position for child birth. 5. Birth Ball- Birth balls are wonderful tools because they help with cervical dilation and encourage the baby to descend into a good position. They are also distractions during contractions. 6. Rebozo- I always bring my authentic rebozo with me. These traditional Mexican shawls are used for belly sifting, belly wrapping, and so on to help move the baby into the best position as well as relieving pain. Brainybirth.com has a great blog post on the history of this amazing birth tool. It is important to understand the history and honor its role in Mexican culture. Check it out here. 7. Tennis balls- These are great for acupressure! Additionally, I use tennis balls to massage the lower back to help ease back pain. During contractions, they can be used for counter-pressure and as a distraction. 8. Coconut oil- As long as allergies to coconut oil are not present, I like to use coconut oil as a base to be mixed with essential oils and then massage it into the hands or feet to help with pain during labor. This is a great thing to do during the break between contractions to assist with rest and relaxation. A few other things that I bring with me are peppermints to help with nausea, red raspberry leaf tea to help with contractions, electronic candles to help with relaxation, and snacks for both myself and anyone else in the birth room such as partners or siblings. My name is Alexandra Low, but everyone calls me Ali. I grew up in San Jose, California where most of my family currently lives. In high school, I loved dancing and volunteering. In fall 2014, I moved to New Orleans, LA where I started college at Tulane University. As you may have read in my About Me section, I started off pre-med, but that eventually changed to pre-nursing as I took a Women’s Reproductive and Obstetric Health class through my Public Health major. During this class, I learned both about midwifery and doula careers. To be honest, I had only ever heard the term “doula” about a year before when I took Medical Anthropology and learned that my professor was a doula, but I never asked what that was. This women’s health class, however, delved into the amazing work that a doula does. Needless to say, I fell in love with everything that I heard and it was at that moment that I knew that being a doula is part of my path in life. Shortly after that class I found out that Birth Boot Camp was hosting a doula training in New Orleans. I signed up immediately! I absolutely loved that training! Not only was it an amazing learning experience, but it felt like an empowering women’s retreat. It was so comforting and powerful to be surrounded by women who wanted to help empower other women, just like I did. Additionally, working as an EMT in New Orleans and all of that training made realize that I was meant to help other women. These experiences sparked my passion for women’s health and childbirth. I hope to eventually pursue a career in Nurse Midwifery and open my own birth center. So, you might be wondering what made me come to Stafford? Well, my husband actually commissioned with the Marine Corps two days before our wedding, in June. He is now stationed at Quantico Marine Corps Base. We are loving this new experience and cannot wait to see where this takes us! Other than women’s health and childbirth, I love hiking, baking, cooking, boxing, and writing. My guilty pleasures are chocolate (cannot get enough of it!) and reality TV, especially reality cooking shows like Hell’s Kitchen and Chopped. 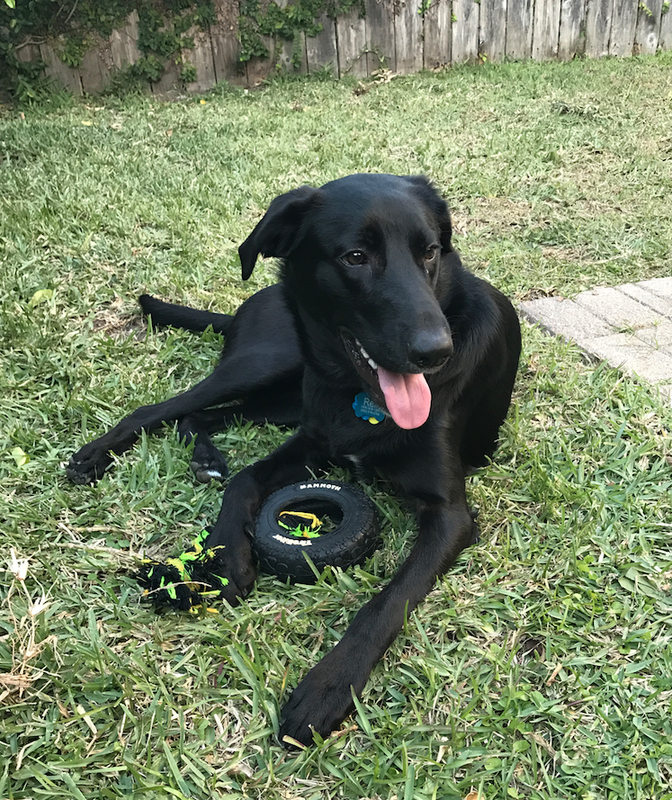 I also enjoy playing with and walking mine and my husband’s dog, a black lab mix named Rex. I hope to post again soon and am excited to start the process of getting to know you and being part of your birth team! To learn more about me as a doula, my birth philosophy, and what I have learned about birth check out my blog posts.